Devon is unique in England because it has two coastlines. Each is very different but ideal for sailing. There is an amazing range of sailing experiences to be had, from tall ships to dinghy sailing and everything in between. 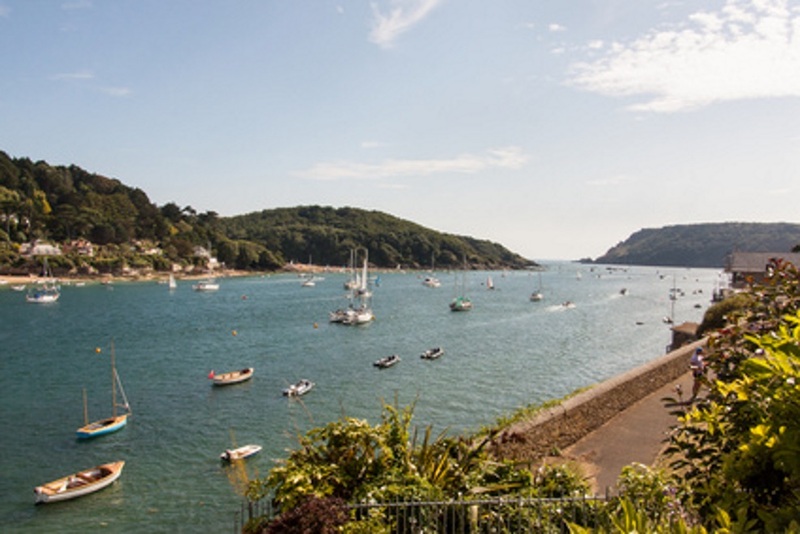 The south coast has the big ports of Plymouth, around which many of the best schools are located, but you can sail anywhere on the coast with relative ease. By sailing in Devon, you are joining a long line of sailors going back thousands of years, whose names include Sir Francis Drake, the first captain to circumnavigate the world. 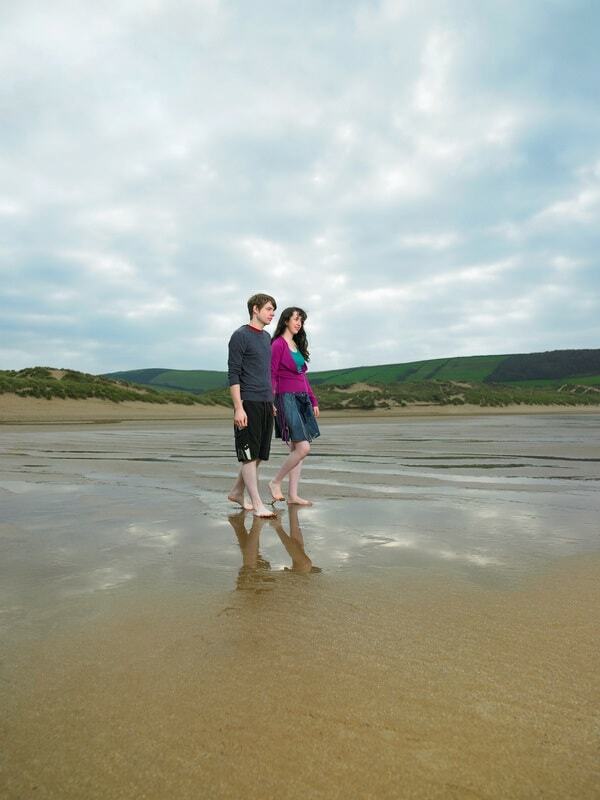 From beginners to experts, there is something for everyone off the coast of Devon. One of the greatest experiences you can have on the waves is in a tall ship. From tea clippers to a man ’o’ war, schooners and trawlers, anyone who loves the creak of the tackle and snap of the canvas can find their happy sailing place here. Join in a crew on a schooner for a day or two, learn the ropes and get a feel for a bigger sail boat. Or maybe start an adventure! You can sail out of Plymouth to many locations on a tall ship, from Denmark to the Caribbean. Be the first to call “Land ho!” from the crow’s nest! Nearly every populated bay and cove on the Devonshire coast has a marina you can berth in. Hire any size of yacht out of Plymouth or Totnes, with the crew or without, and take it for a spin up and down some of the most beautiful coastline in the country. Sailing in the Channel is not without its challenges, it is the busiest shipping lane in the world after all, but it is a unique and incredibly enjoyable experience. If you want to learn how to crew and skipper a yacht, you can sign up for courses between a few days and a few weeks to really get to know how to do it. Take your friends along or take the challenge on your own, either way you’re bound to learn an incredible amount about the sea, sailing, and yourself. Need a little luxury? Hire a charter and a crew who will take care of the business of sailing the thing while you get to chill out, relax, and try some of that Plymouth gin you picked up on the distillery tour. A brilliant way to unwind. 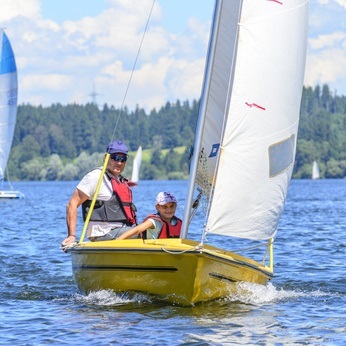 Nothing gets you closer to elements than dinghy sailing. You have to feel the wind and the balance of the boat, each tiny movement can change how the boat is cutting through the water. Sailing on the sea or up some of Devon’s rivers and lakes is one of the best ways to spend a summer with or without the kids. There are sailing schools dotted up and down the coast and you should be able to hire a boat nearly anywhere you can see the sea in Devon. The Channel coast is generally calmer and better for dinghy sailing than the north coast because it is more sheltered from the Atlantic (and a bit warmer too). You can get a dinghy for not very much and explore the coast around where you are staying in a truly adventurous style. If sailing is on your bucket list, Devon is the perfect place to learn. Good winds, plenty of bays and coves, some of the best schools in the country, lots of people to learn with, and a huge choice of boats add up to Devon being the best destination for aspiring sailors. No matter if you have never set foot in a boat before, the experienced teachers you can find in Plymouth and the other bigger towns will help you get out and planing over the light swell in no time at all. The gentleness of the conditions off the Devonshire coasts make it well suited to young children learning to sail or getting their sea legs. The sight of a whole school heading out of a marina is something to behold. To take part is an inspiring experience. Afraid everything in your kids’ brains will leak out before term starts? Desperate to keep them interested and entertained during the long summer break? Sign them up to a summer sailing holiday in Devon. They’ll make great friends, learn a lot of confidence, discover new things about themselves, and, of course, learn how to sail with the best! Sailing is a physical and mental exercise, it requires concentration and confidence. Not many things you do over the holidays could be better than taking them sailing. It’s also not that expensive (until they start asking for their own boat!). This entry was posted in Things To Do In Devon and tagged sailing on April 30, 2018 by admin.